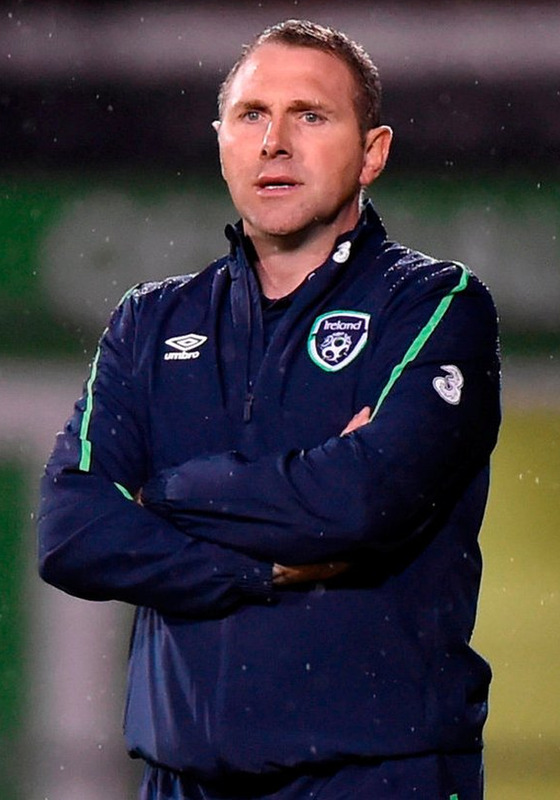 Without several key players, including Troy Parrott, Ireland have reached this summer's Euro U-19 finals before they even conclude their qualifying group. The last time Ireland qualified for the finals was back in 2011 when they were knocked out in the semi-finals by champions Spain. That squad included Jeff Hendrick, Matt Doherty and John Egan, while Robbie Brady and Shane Duffy were also involved in the qualifying series. The current crop also enjoy an abundance of talent. Manager Tom Mohan had to do without Lee O'Connor, Adam Idah and Conor Coventry. The trio were fast-tracked into the U-21s by Stephen Kenny, making their debuts in yesterday's win over Luxembourg. Parrott will also come back into the mix for the finals once his toe injury clears up. After opening their elite stage group by beating Romania 5-0 last Thursday, the U-19s followed it up with another win on Saturday, 3-1 against Azerbaijan. Once mini-group hosts Russia played out a scoreless draw against Romania later in the day, Ireland's six-point haul at the summit couldn't be caught. They now face Russia in their final game tomorrow already guaranteed a place at the Armenia-hosted showpiece in July. To give a glimpse into the difficulty to reach the eight-nation finals, U-17 World champions England are on the brink of missing out. Tyreik Wright grabbed Ireland's breakthrough goal on Saturday just before the break, a lead they should have doubled on the hour only for Will Smallbone's penalty to hit the crossbar. Jason Knight added the second with a crisp shot, while Jonathan Afolabi got the third. Elsewhere, Andy Reid's U-18 side played out a scoreless draw against Turkey and the women's U-17s lost 2-0 to Germany in their elite qualifier.